Houses & Homes VA: How to Design an Awesome Master Bedroom Suite! How to Design an Awesome Master Bedroom Suite! Like so many things in today’s world the role of the modern bedroom has changed. No longer is it just a place to sleep. It has become a private sanctuary from the rest of the home and is as much a place of relaxation and privacy as it is a place to lay our heads at night. If you are considering transforming your bedroom into that special private retreat, here are some points to consider. The whole point of a private suite is to relax. Bright colors such as yellow, orange or white are not good choices. Likewise colors that are too dark may create an atmosphere that feels “restrictive”, especially in a smaller room. Consider using gentle and soothing colors such as a mid-tone shade of green or a soothing blue. If you prefer a more “traditional” color then perhaps a warm beige or tan is best for you. Another thought is to use more than one color. Recently I saw a master bedroom suite that had just one of the walls painted in a rich brown tone while the remaining walls were in a lighter neutral shade. It was gorgeous and provided a very calming ambience that was perfect to relax in. Add some color coordinated throw pillows and accessories and you’ll feel like your vacationing at the Ritz! The last thing you want in your bedroom is bright lights. A dimmer switch is an excellent investment. You can keep the lights to a low and soothing level when relaxing or just enjoying a quiet sit down. If you need more light (such as when reading a good book) you can brighten the room with the twist of a dial! A nice bedside lamp could also give the room a nice “cozy” feel. Add Space and Lose the Waste! I don’t know about you but when I see clutter I feel the need to clean it up. I just can’t relax in a messy room! Eliminate unnecessary items in your bedroom. Do what you need to do to keep the room neat and provide more space. Buy closet organizers, add shelves to the closet, buy storage containers for under the bed, whatever it takes to get it (and keep it) in order. Find other storage areas in the home to store what you don’t use in the bedroom. The point here is to provide yourself with a relaxing and comfortable environment that doesn’t require a lot of attention. Eliminating things that you don’t need will also help to provide a more open and spacious feel that will enhance your ability to relax and enjoy the peace and quiet. I suggest that you fight the urge to turn your new bedroom suite into an Audio/Video display room. Ask yourself, do you really need your laptop on that cute little vanity desk? Does watching the evening news actually help you to relax? Is a ringing phone your idea of a mini vacation? Many of us have forgotten how to truly relax. Noisy distractions and the urge to send that final email before bed is not the way to lower blood pressure. A good book or some quiet time spent simply relaxing and reflecting upon the day is. Consider leaving the gadgets where they belong, in the family room, living room or home office. If you simply can’t live without your television consider buying an armoire to keep it in. At least that way you can close the door when it’s time to call it a day. Out of sight; out of mind. Did you know that placing your bedroom furniture at angles and NOT flat against the walls provides a much more open and spacious feel to the room? Think about it. Remember the last time you were in a hotel business or bedroom suite? 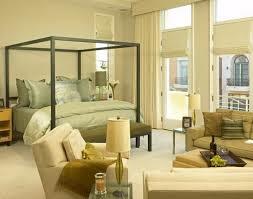 Those rooms are designed by experts to create a certain impression of comfort and convenience. You can do the same thing in your private suite and you’ll be amazed at the big difference it will make! There you have it; a private and relaxing haven within your very own home that awaits you every evening. The perfect place to relax and get away from the stresses of the day. Take a deep breathe and enjoy, you deserve it.